Product categories of Tape Cutting Machine, we are specialized manufacturers from China, Tape Cutting, Automatic Tape suppliers/factory, wholesale high-quality products of Label Cutting Machine R & D and manufacturing, we have the perfect after-sales service and technical support. Look forward to your cooperation! 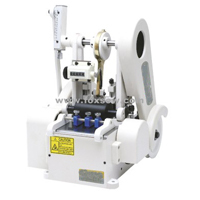 FOXSEW Tape Cutting Machine includes four different series Tape Cutting Machines, Label Cutting Machines, Ribbon Cutting Machines, Webbing Cutting Machines, Belt Cutting Machines. 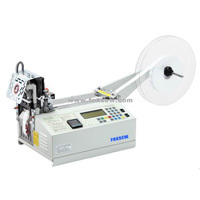 FX130 Series Computer Controlled Tape Cutter, FX120 Series Automatic Tape Cutter, FX110 Series Tape Cutter and FX817 Series Tape cutter. We focus on tape cutters for many years, that`s why we are becoming the leading manufacturer in this field. FX130 Computer controlled Tape cutter is our Invention Patented Products, many other factories follow us about this tape cutter. 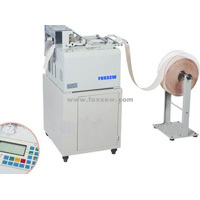 FX120LR Automatic Tape cutter with hot and cold knife is another outstanding product of FOXSEW, it agglomerates all the efforts of FOXSEW engineers, it shows high-technology and innovation of FOXSEW, also it is the patented product of FOXSEW. In order to meet different demands from different customers, we have the economic series tape cutter, that is FX110 Series. Compared with FX130 and FX120 Series, the prices of FX110 Series is a little cheaper. So, all customers come here can find correct machines what they need.